I’m pleased to welcome a new regular contributor to the Audible SF/F blog: Dave Thompson. While we have plans (a podcast? two-contributor reviews?) 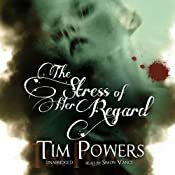 he’s starting out with a review of The Stress of Her Regard by Tim Powers, read by Simon Vance for Blackstone Audio. 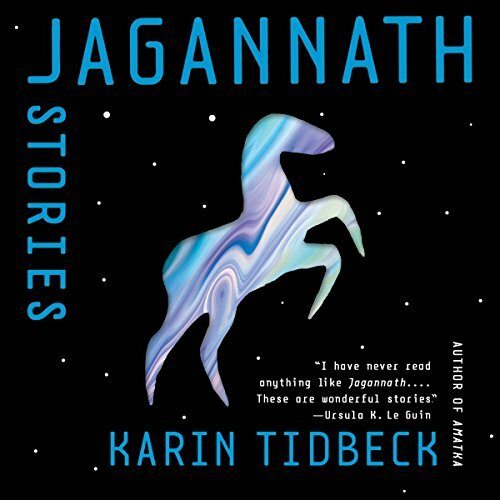 Out in April of 2011, the novel was originally published in print in 1989 by Ace Hardcover. A new book, Hide Me Among the Graves: A Novel is due out in March from William Morrow. There’s a tense scene early on in Tim Powers’s The Stress of Her Regard where Michael Crawford, a 19th century surgeon, is trapped inside an abandoned coach, and he likens the frayed fabric pressing against him to a growling dog’s bristling hackles. That sense of impending dread – that disturbing discomfort is woven through every chapter of the novel, and it doesn’t relent until the story comes to an end. This is without a doubt one of the most terrifying and disturbing books I’ve read or listened to, and the vampires are only part of what makes it so scary. Yes, I said this book has vampires, and if you’re one of those people who’s wondered over the last few years why vampires aren’t scary anymore, look no further. There is no sparkling here. They are more alien and monstrous than any vampires I’ve read or seen cinematically, and yet, through the characters eyes, we see the gravity of their allure, their intoxicating yet violent, jealous, sexuality. More than vampires, this is a novel about vampirism and writing, and Powers features 19th century writers and poets like Percy Byshe Shelley, Mary Wolstonecraft Shelley, John Keats, and Lord Byron are just a few of the historical figures who play pivotal roles in this book. Byron is especially fun to see here, but Powers’ portrayal of Percy Shelley is particularly gut-wrenching. I was shocked by how much empathy I felt for him. Simon Vance is the gold standard of narrators, and his reading here is proof why. It would be easy to make the famous characters that populate this book feel either over-the-top or out of reach, but reading Powers’s prose, Vance caused the characters continue to feel larger than life, while being grounded and human. The Stress of Her Regard is a terrifying and sensual novel about vampirism, muses, desire, regret, loss, and love. It’s my new benchmark for scary vampire stories, and maybe just scary stories in general. If you like your fantasy incredibly dark and challenging, don’t miss out on it. Dave Thompson is the host and co-editor of PodCastle, the fantasy fiction audio magazine. His own fiction has been published by Bull Spec and Apex Magazine, among others. You can follow him on Twitter @krylyr. This entry was posted in regular and tagged blackstone audio, dave thompson, review, simon vance, the stress of her regard, tim powers. Bookmark the permalink.